Large front scoop 23" x 19"
The Milwaukee Landscape Hand Truck features huge 16" pneumatic wheels to allow easy rolling over rough and uneven terrain. A huge 1500 lb load. Strong 1.25" tubular construction. 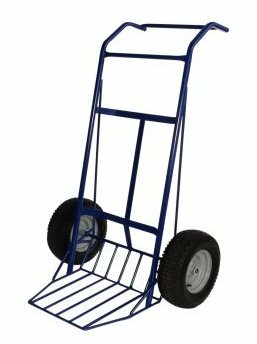 Move trees, rocks and large shrubs with this all-purpose hand truck. The brand Milwaukee is a name you can trust. Made in the USA. Load Capacity (lbs. ): 1500 lbs. 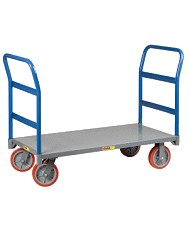 Toe Plate: 29" x 19"
I did a lot of research regarding landscape handtrucks prior to purchasing. I think this product is well made and flexible in its uses. I am sure that I will enjoy it for many years.